We deliver the storage container to your location, you fill the container, and we then move the portable container to your new address or store it for you at our location. It’s that easy! 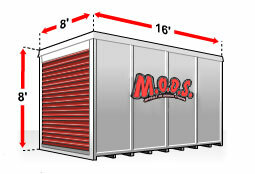 8’X8’X16′ May hold the contents of approx. a 1500 square foot home.